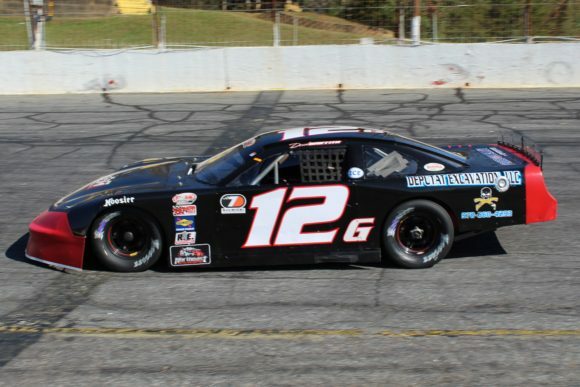 The Snowball Derby held each December at Five Flags Speedway in Pensacola, Florida is one of if not the most prestigious pavement Super Late Model races in the country. And live action pit stops have long been as much of a factor in this 300-lap affair as the on-track action as far as determining the eventual winner is concerned. But as the need for spending as little time in the pit area has become more and more of the equation, teams have begun hiring professional pit crews to service their cars in hopes of winning this highly coveted race. Needless to say, those professional pit crews from the NASCAR realm come at a high price. In a story posted on Speed51.com Snowball Derby promoter Tim Bryant pointed out that this year’s race will employ controlled caution format this coming December. According to the event’s chief, the change was made to help racers control their costs as there should no longer be the need to bring in hired guns for the feature race. Under the controlled caution format that will be in pace for the 52nd annual Snowball Derby, no car will lose a lap while making a pit stop. Further, no driver will lose a position on pit road in regard to the other drivers who pit at the same time. Obviously, the strategy of when to hit pit road for a tire change will still make up an important part of this race. Even without the possibility of gaining or losing spots while getting the car serviced, the timing will be critical as drivers and teams seek to have the right track position at just the right time with just the right amount of grip to get them to the checkered flag first. The use of professional pit crews in the Snowball Derby was highlighted last December when driver Stephen Nasse engaged his hired crew in an altercation after what the highly competitive driver determined was a series of mistakes that led to an eventual crash and cost him a shot at victory. Nasse indicated that his team had paid the Roush Fenway Racing crew upwards of $5,000 for their employment in a race that offers $25,000-to-win. Racing at any level is highly competitive, and as a result, highly expensive. And as an old adage maintains, racers will spend all they’ve got to gain an advantage. Taking away the need for hired professional crew members should take away the need to spend additional money with the intention of gaining positions on pit road. This will hopefully place the focus more clearly on the race track itself.